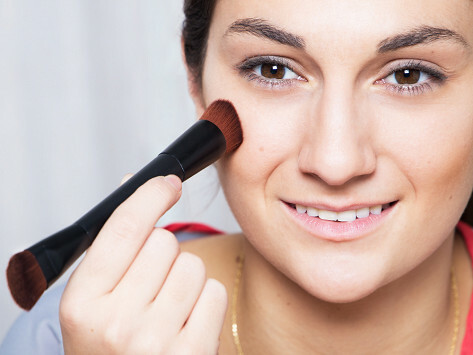 This travel-friendly and compact brush primes, highlights, and contours all-in-one. 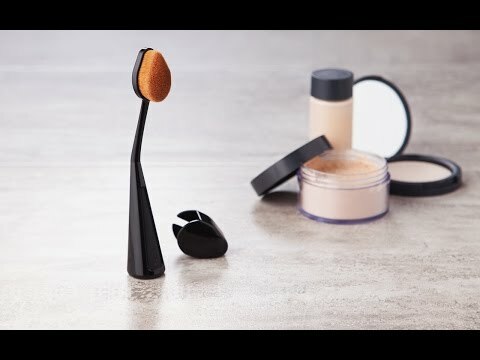 Each brush is shaped to apply liquid, cream, or powder makeup to effortlessly. Dimensions: 6.14" x 0.91" x 0.91"
The tapered end is great for blending in cover-up, but the make-up brush just ate up lots of my foundation and I couldn't seem to get it on evenly.